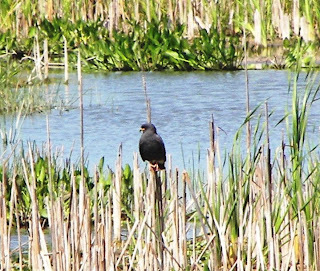 Snail Kites are an endangered species found only in south-central Florida. We were fortunate to see one at Harns Marsh in Lehigh Acres. 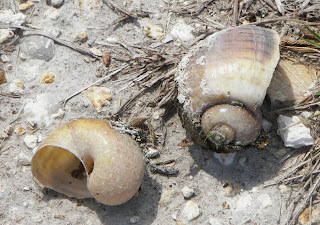 Apple snails, their only food, are plentiful at the Marsh. The tail feathers are black and white - easily seen when he flies. 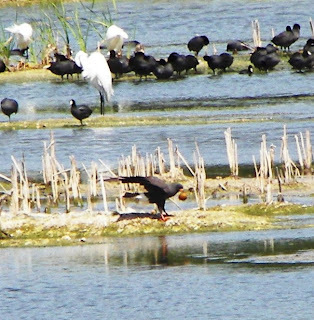 With Coots and Egrets in the background, you can see the Kite with a large snail in the foreground of this picture. 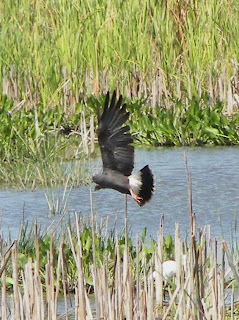 I walked down to the marsh to collect a couple of samples of the Apple Snail shells left by the Snail Kite. We saw lots more at the Marsh and I will post more pictures later.